Find a Food Bank Easy! FindFoodBanksBrum was initially set up as a fully interactive online listing service for food banks, including other related support and/or services, situated in Birmingham and the wider Black Country regions, formally launched in July 2013. In July 2016 we took the difficult decision to close the previous version of the website. We had taken this decision due to software issues and because as a very small community collective with no funding and limited self-generated income, we were no longer able monitor or maintain the website effectively. 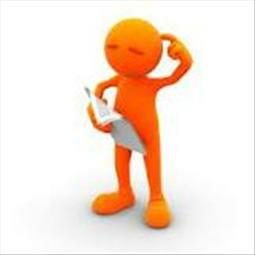 This new low maintenance website will primarily provide news and information on issues related to food banks, related charitable services and national developments on food and economy; but will also have a basic directory listing. FindFoodBanksBrum was established by Naphtali & Associates following a discussion on BBC Radio West Midlands topical consumer show, ChatBack. Don’t keep us to yourself! Share Find Food Banks Brum on your website. We want to help make it easier for people of the West Midlands region to locate their local foodbanks, and also for foodbanks themselves to have access to a single shared and comprehensive resource. We also welcome the listings of other related services including food co-operatives, community gardening projects, free or subsidised clothing outlets, furniture and household goods services. The new website now has a more basic directory of services for those in need of these services to locate them easily, and for other services to be aware of what else is available in the West Midlands region. 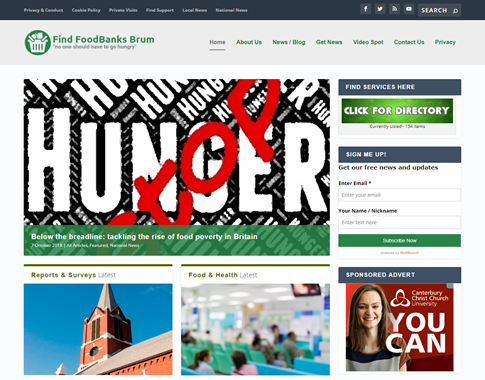 FindFoodBanksBrum has a responsive design, and can be used easily on desktops, tablets and mobile/smart phones. The FindFoodBanksBrum website is developed and managed by First Stop Web Design, a community collective based in Birmingham, on behalf of Naphtali & Associates.